How you dial out on your your cellphone or land line phone will be affected by some changes coming in early 2015. Our friends at the Indiana Chamber of Commerce sent out this great summary on the upcoming dialing changes that will affect the southern third of our state. Take a moment to read through and check out the Indiana Utility Regulatory Commission (IURC) web site or view their FAQs at http://www.in.gov/oucc/2718.htm#4. We, and many others, have told you about the new area code coming to the southern third of our state. The Indiana Office of Utility Consumer Counselor, and its IN 812 industry group, prepared the following update (including effective dates and equipment upgrade procedures, if necessary) for Indiana Chamber members and the broader community.Consumer Counselor, and its IN 812 industry group, prepared the following update (including effective dates and equipment upgrade procedures, if necessary) for Indiana Chamber members and the broader community. To ensure a continuing supply of telephone numbers, the new 930 area code will be added to the area served by 812. The new 930 area code will serve the same geographic area currently served by the existing 812 area code, which generally covers the southern third of the state of Indiana serving communities such as Bloomington, Columbus, Evansville, New Albany and Terre Haute. This is known as an area code overlay. An overlay is the addition of another area code (930) to the same geographic region as an existing area code (812). 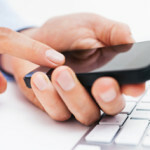 An overlay does not require customers to change their existing area code. How does this affect Chamber members? As a result of the overlay, a new local dialing procedure requires callers to dial area code + telephone number. This means that all local calls in the 812 area code that are currently dialed with seven digits will need to be dialed using area code + telephone number. Chamber members that have services and equipment currently located in the 812 area code and programmed to dial only seven digits must be updated or reprogrammed to dial area code + telephone number for all calls in the 812/930 area code. To complete local calls, the new dialing procedure requires callers to dial area code + telephone number. This means that all calls in the 812 area code that are currently dialed with seven digits will need to be dialed using area code + telephone number. 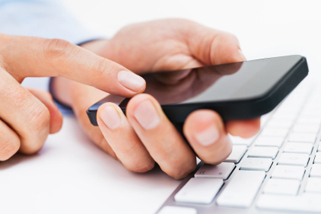 The same dialing procedure will apply to telephone numbers assigned to the new 930 area code. When will the change begin? Beginning February 7, 2015, you must use the new dialing procedures, as described above for all calls. After this date, if you do not use the new dialing procedures, your calls will not be completed and a recording will instruct you to hang up and dial again. Reprogramming of alarm equipment should take place between March 1, 2014 and February 7, 2015. 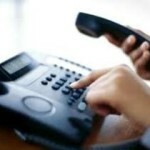 This period allows either the old or new dialing procedure to be used to complete calls. All chamber members must make their programming changes during this period. To enable you to verify that equipment can complete calls to the new 930 area code, a special test number, 930-930-1930, will be in service beginning July 7, 2014 and it will remain active through April 7, 2015. Beginning March 7, 2015, new telephone lines or services may be assigned numbers using the new 930 area code. • Your telephone number, including current area code, will not change. • The price of a call, coverage area, or other rates and services will not change due to the overlay. 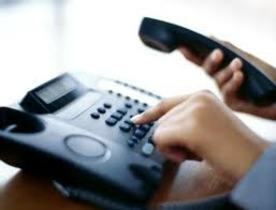 • What is a local call now will remain a local call regardless of the number of digits dialed. • You can still dial just three digits to reach 911. • If 211, 311, 411, 511, 611, 711 or 811 are currently available in your community, you will still dial these codes with just three digits. Customers with questions about the dialing procedure change should be directed to their local service provider, or they can visit the Indiana Utility Regulatory Commission (IURC) web site. This entry was posted in General, Uncategorized and tagged area code overlay, technology, telephone on December 29, 2014 by Bloomington Chamber Staff.